Win one of five DAB car adaptors just by watching out for our spring leaflet being delivered across Milton Keynes. Our new leaflet could be coming through your door in April as we start our latest drop to 50,000 MK homes thanks to Sure2Door. 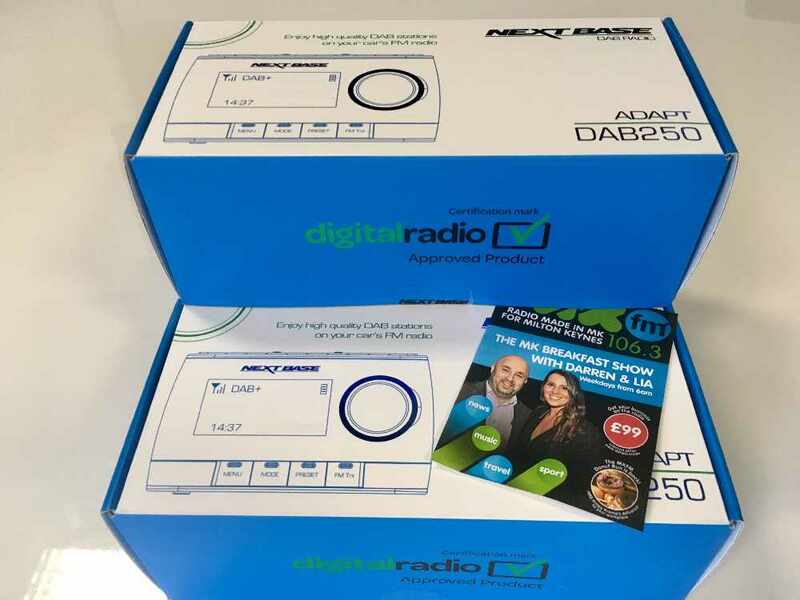 For your chance to win one of five Next Base DAB250 DAB car adaptors, just post a photo on Facebook or Twitter when your leaflet arrives. The adaptors are easy to fit and usually retail at £99. MKFM is available on DAB Digital across Herts, Beds and Bucks. Listeners have reported they have also heard us on DAB in Northampton and far as Dartford and Guildford. The competition is subject to MKFM's standard competition Terms and Conditions.